Giving you the change to compete on a local, regional, and even a national level while helping a variety of worthy causes, the Mercedes-Benz Dealer Championships have raised over $30 million for U.S. charities since 1993. The winning two person team from this event goes on to play in the Eastern sectional. From there, the top three teams advance to the National final. The rewards extend beyond the competition, the camaraderie and the trophies. 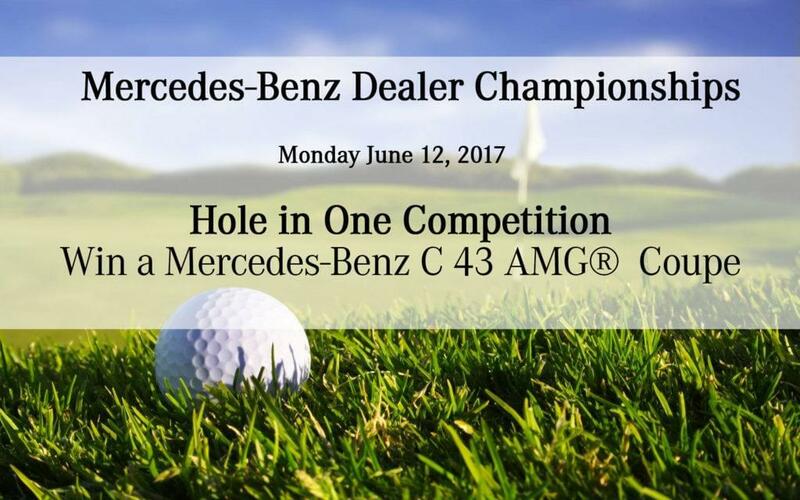 For starters, every participant has the opportunity to win a new Mercedes-Benz at the local and sectional events in our Hole in One challenge. But most importantly, they get the chance to be a champion- not only on the course but for a cause. Space is limited, please register prior to 5/26/2017.